The Sphero R2-D2 is the latest product from Sphero - the company that started out with the original Sphero robotic ball in 2011. It now makes a whole range of robotic toys and has tie-ups with Marvel for Spider-Man and Pixar for a really cool Lightning McQueen. 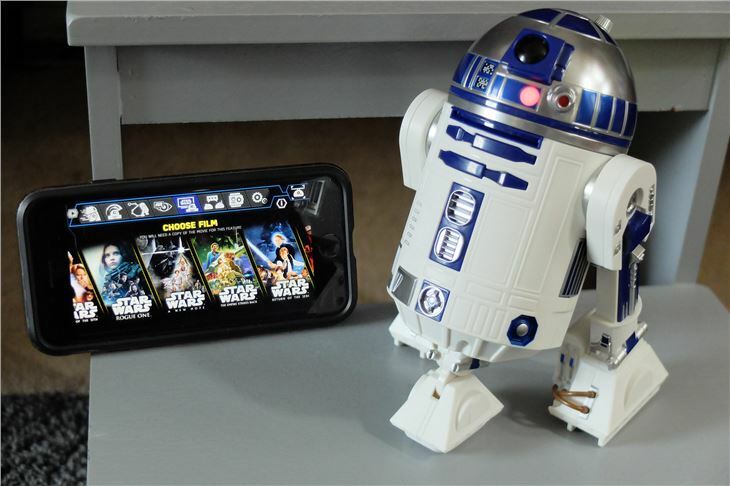 Like those, R2-D2 is controlled via a Sphero app you download onto your phone or tablet. Alternatively you can use the Sphero Force Band, currently about £20 on Amazon. Cards on the table here. We love Star Wars. 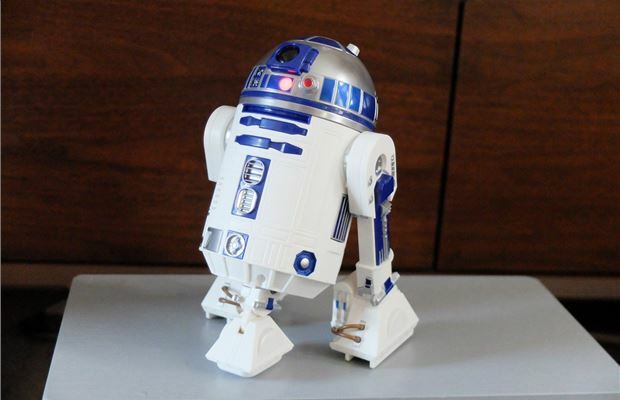 We know not everyone does - and for those seven people - this R2-D2 by Sphero will mean nothing. But for the rest of us, R2-D2 is arguably the most recognisable droid character ever created. Sphero created a real buzz when it launched its rolling BB-8 toy in 2015, but that was nothing compared to the internet meltdown when R2-D2 was revealed. Sphero's R2-D2 is perhaps bigger than you'd imagine and considerably larger than BB-8 (the picture at the end of the page shows the two together). 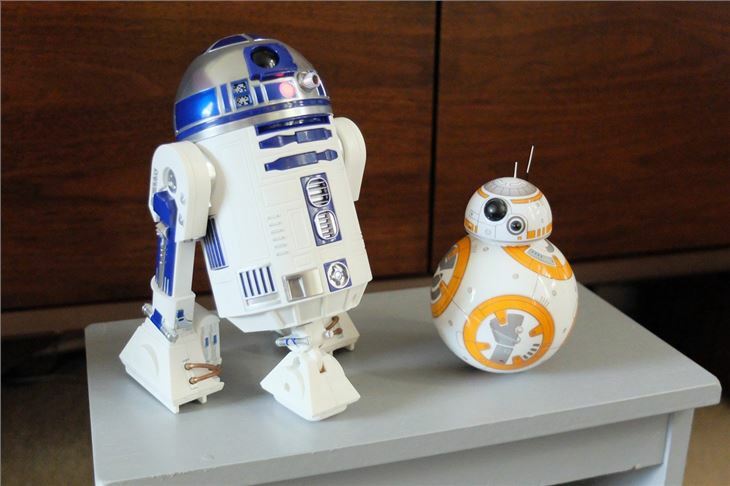 They're not quite the right scale if you're comparing them to their relative sizes in the films (we now wish BB-8 was a bit bigger), but the size of R2-D2 means you can appreciate the detail that's gone into it. 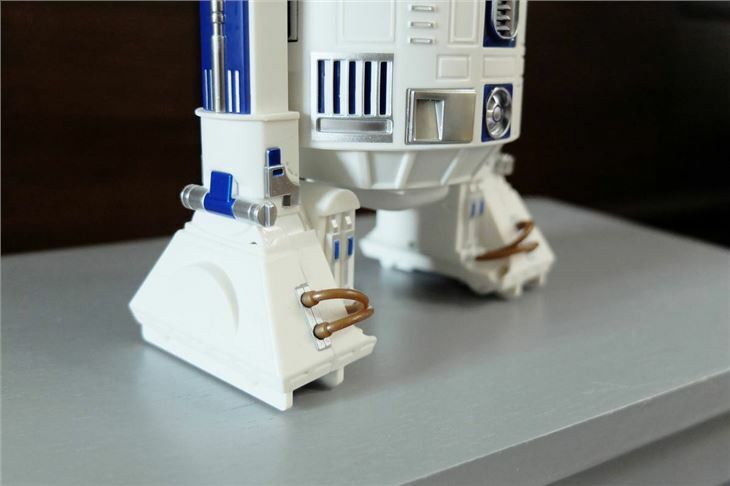 This R2 unit sits at 17cm high and runs on little rubber tracks to get around. The head rotates 360 degrees and includes the little red and blue flashing light, plus there's lots of nice attention to detail in the design when you get close up, such as the hydraulic pipes on R2's feet made of flexible rubber rather than just moulded plastic. It takes a few hours to charge up and a full charge lasts around 60 minutes. 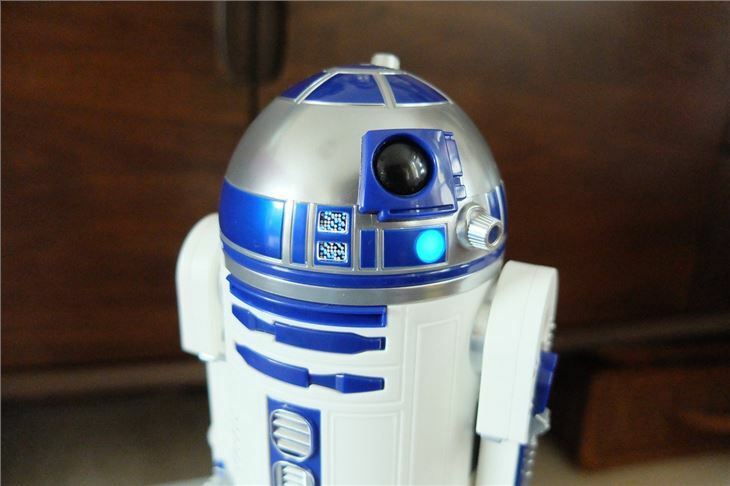 Like all Sphero products, the quality of R2-D2 is top notch. 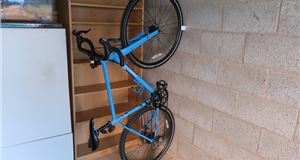 The finish is excellent and it has a good weight to it. You get the impression it's a toy designed to last, which goes some way to explaining its not inconsiderable price. It's really simple to set up too. 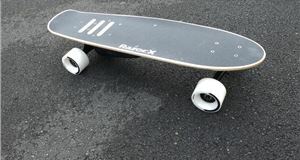 Charge it for a few hours, download the Sphero app to your phone, then you simply connect to R2 via Bluetooth and you're away. The app looks good and is really simple to use. You can drive R2-D2 yourself - it has an impressively long Bluetooth range - and get him to perform one of the 18 pre-set actions, all from the Star Wars films. These include the scene where R2-D2 is first captured by the Jawas and falls over. And talking of falling over, the Sphero R2-D2 does tend to fall over quite a bit. He doesn't really like thick carpet or rugs where he tends to be a bit wobbly when he comes to a stop. Put him on a wooden or tiled floor and he's much happier. That said, you will find yourself having to pick him back up a lot. You can also draw a path which R2 will follow, something younger children love, or send him out on patrol which is one of our favourite features. That is until he hits a table leg and falls over. 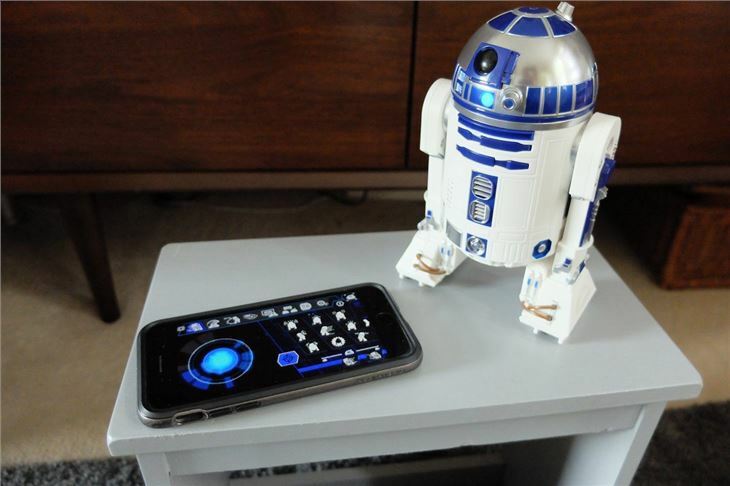 Cleverly, you can set R2-D2 to interact with other humans or other Sphero droids. This works when he's actually powered down and you've turned off the app. R2 will suddenly chirp to life and communicate with BB-8, who will react back. The Watch With Me feature is a clever idea. 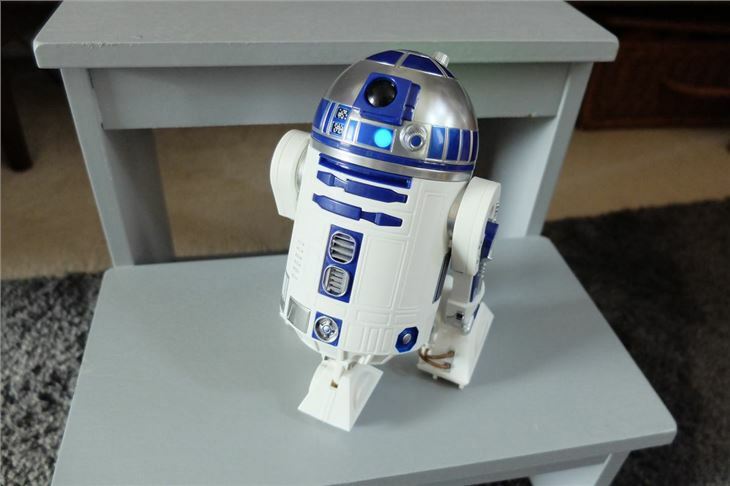 You sit R2-D2 (or any other Sphero droid you have) in front of a copy of Star Wars and he will react to certain parts of the film. With BB-8 this originally only worked for The Force Awakens, but with R2 it has been expanded to all the Star Wars films, sadly even the awful prequels from the late 90s. No one needs to endure Jar Jar Binks again. While it sounds clever, we struggled to get this to work. It uses sound cues, but watching it on our Sony 43-inch TV the app wouldn't sync. We tried moving the phone around, using our soundbar and turning the volume up and down but frustratingly nothing worked. 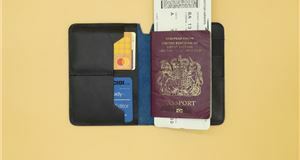 We even updated the iOS on our iPhone plus tried an alternative iPad and an Android phone. In the end, we got it to work by downloading the film onto an iPad and watching it through that, but that kind of defeats the object of having a big telly to watch Star Wars on. That shouldn't detract from how much fun R2-D2 is though. It has lots of play life, helped by the fact you can get other Sphero droids including R2-Q5 (the Galactic Empire equivalent of R2), plus BB-8 and BB-9E. 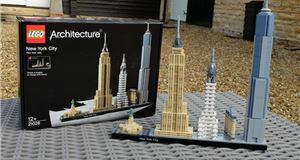 Get a group of kids (or grown-ups...) together and you've got hours of fun. 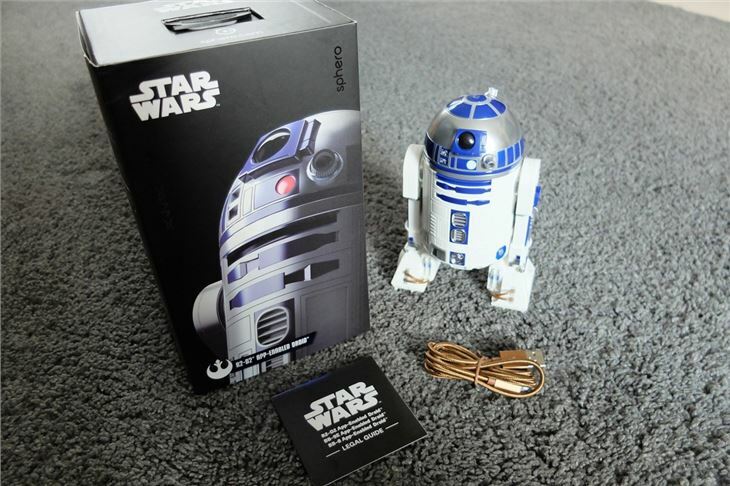 If you're a Star Wars fan you will absolutely love the Sphero R2-D2. 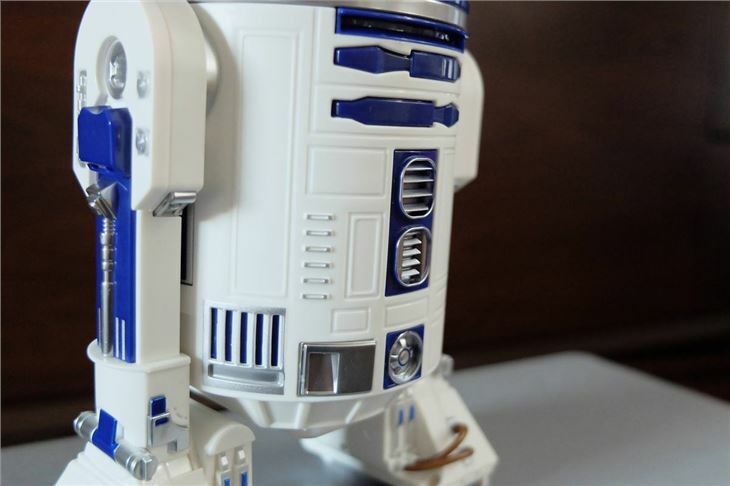 While we still really like the Sphero BB-8, this R2-D2 unit takes things to another level. It has so much character to it, it's easy to forget it's just a toy. The attention to detail is great and with the proper lights and sounds that come directly from the unit, it's like having your very own R2 unit at home.